Nominations have opened for the inaugural national Aerospace Innovation Awards, which will be presented at next year’s Australian International Airshow at Avalon Airport. Six awards will be presented in the following categories: Defence Industry National Innovation Award, Civil Industry National Innovation Award, Defence Industry SME Innovation Grant, Civil Industry SME Innovation Grant, Scholarship for Defence Industry Innovation, Scholarship for Civil Industry Innovation. Eligible SMEs stand to win a $10,000 Innovation Grant while individual innovators stand to win a $10,000 innovation scholarship. The winners of the major defence and civil innovators categories will be presented with trophies. The awards have been developed by Aerospace Australia, which is the organiser of the Australian International Airshow. “The awards enhance the foundations mission to promote the development of Australian aviation and aerospace industries,” said Aerospace Australia CEO Ian Honnery. Nominations for the awards will close on September 30, with a shortlist of nominees to be drawn up by the end of October. For more information about the awards, go to www.airshow.com.au/innovation‐awards. 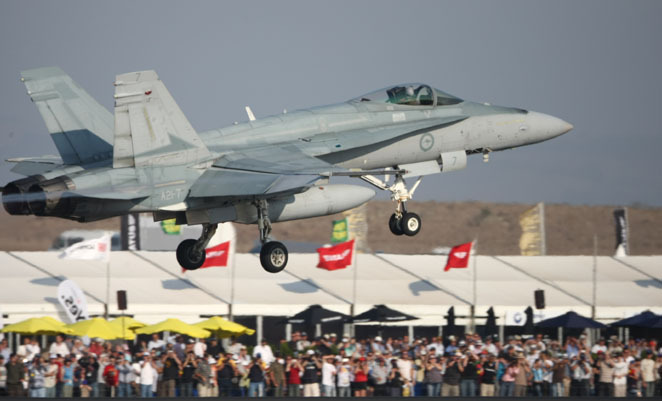 The airshow will be held from February 26-March 3, 2013 at Avalon Airport.